Accessing the winter beauty of the Porcupine Mountains and Ontonagon County is easy and affordable, thanks to abundant lodging options in the area. Discover resorts, hotels and more ideally located near trails and the Porcupine Mountains Wilderness State Park. When winter is in full swing, these properties fill up quickly, so now’s the perfect time to make reservations. Check out all our lodging options. Getting away from it all doesn’t have to mean unplugging completely. If you want to get online at the end of a day in the wilderness, many properties offer high-speed wireless internet. Enjoy a connection fast enough to watch a video or upload photos to show the folks back home. 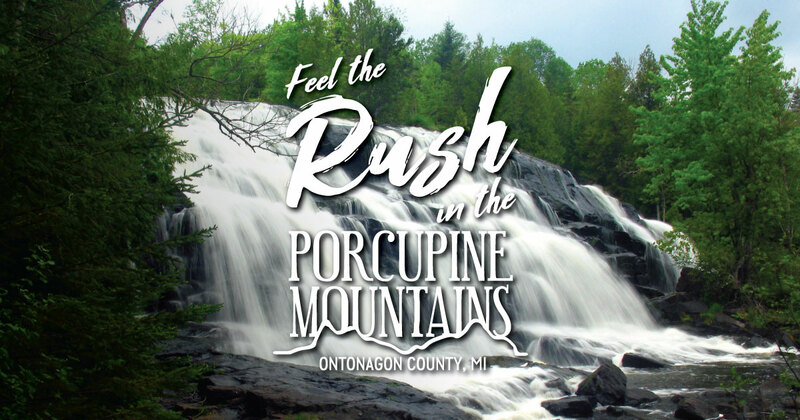 In the Porcupine Mountains and Ontonagon County, big wilderness doesn’t equal big prices. There are lodging options here to fit any budget, making this area the perfect escape for solo travelers, couples, families and large groups. A stay in the Porkies also makes for a fantastic holiday gift—who wouldn’t want to be treated to a getaway in the Porkies? Want to cozy up next to a fireplace? Or bringing your four-legged friend on your getaway? Local lodging properties have exactly what you are looking for. Browse local lodging options here and find amenities that fit your needs. Planning a snowmobile adventure? Your sled has spent enough time on the trailer. Consider lodging with easy access—some lodging properties are right on the snowmobile trails. Hop on your machine, warm it up, pull out of the drive—you’re right on the trail—and experience the western U.P. at its finest. Is there a better way to start the day? In the Porkies you can find great lodging options near our spectacular ski area. The Porcupine Mountains Ski Area has 15 groomed trails and four glade trails—along with breathtaking views of Lake Superior. Best of all: you can stay in comfortable lodging, just minutes from the hill.